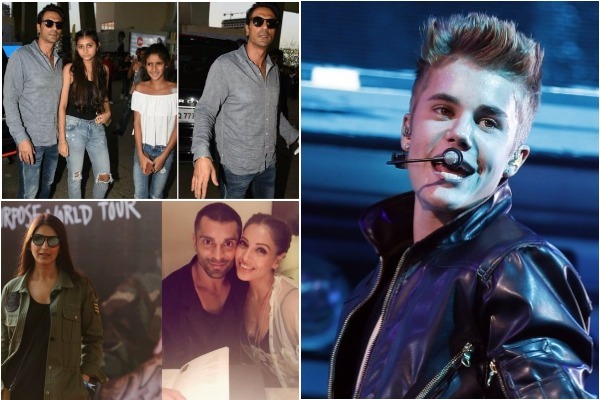 Sonali Bendre Calls Bieber’s Concert Waste Of Time, Arjun Rampal Too Angrily Walks Out. WHY? So what we could not enjoy at the concert… still it's always fun with you my love. Thank you ? Bollywood actress SonaliBendre, who attended the concert with her kids, also expressed her anger over mismanagement from the organisers. “Biebered out!!! Missed d efficiency of @WizcraftIndia n d personal touch of @WizAndreTimmins #wasteoftime,” wrote Sonali as she returned from the DY Patil Stadium. Despite Sonali Bendre’s negative review of the concert, the organiser Andre Timmins of Wizcraft thanked her for her kind words. Well, if these problems were not enough, Arjun Rampal too walked out of the concert after photographers tried to get close to his two daughters Mahikaa and Myra to click pictures. The angry father could not take it and walked away from the venue after pushing photographers away. Apparently, he did not attend back seeing huge crowd falling on each other. If Bollywood celebs were irked and walked out straight away complaining mismanagement, wonder what normal people might have gone through.